A road bike is nowadays regarded as the king of bicycles. It’s an extremely versatile bicycle type that can be used for training and commute around the city. Let’s see what are the best road bikes on the market. Road bikes are the lightest of all bike types. They will allow you to go faster and to cycle longer. They are much more aerodynamic than other types of bicycles, so you will be able to cycle much more efficiently even in strong winds. In this article, we’ll present to you 15 best road bikes for the money that you should definitely consider if you are looking to buy one. 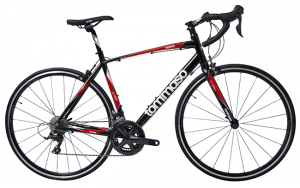 The Tommaso Tiempo is a super-affordable road bike affordable in two very attractive colors: black/red and grey. 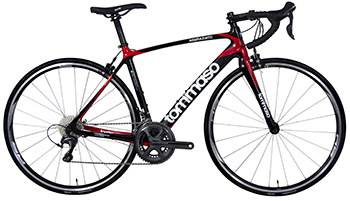 Tommaso Tiempo is a high-performance aluminum road bike, so do not let the low price fool you. 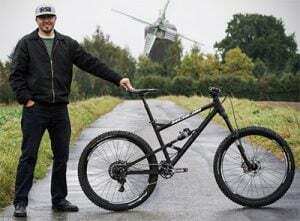 While the frame is made of aluminum, the fork is made of carbon which significantly reduces the weight, which is around 22 lbs for the smallest frame. The Tommaso Tiempo uses compact frame geometry which is superior to other frame geometries in that it offers better power distribution and is more responsive to the power input. The components are full-on Shimano Sora, which is a low-end option, but it still offers great performance. For an entry-level rider, who is just entering road cycling and making their first pedal strokes on the road, this is a great option. You can choose between 18 gears on the 2×9 drivetrain, so you will have plenty of choice on the road. The brakes on the Tommaso Tiempo are also from the Shimano Sora groupset. However, this bike does not come with discs, but with decent brake calipers. This is a great option nonetheless, as even many pro riders prefer brake calipers to discs on road bikes. The Tommaso Tiempo rides on Kenda K152 road tires, which are 25mm wide and has aero bladed spokes on the rear wheel for better aerodynamic performance. All in all, it is definitely one of the best entry-level road bikes for the money on the market. So, if you’re just starting out in road cycling, the Tommaso Tiempo will definitely make you happy! The Giant Contend 3 is a really good-looking bike that has also proved as a good performer on the road. It’s available in only one color – black with white details but it looks really simple and attractive. 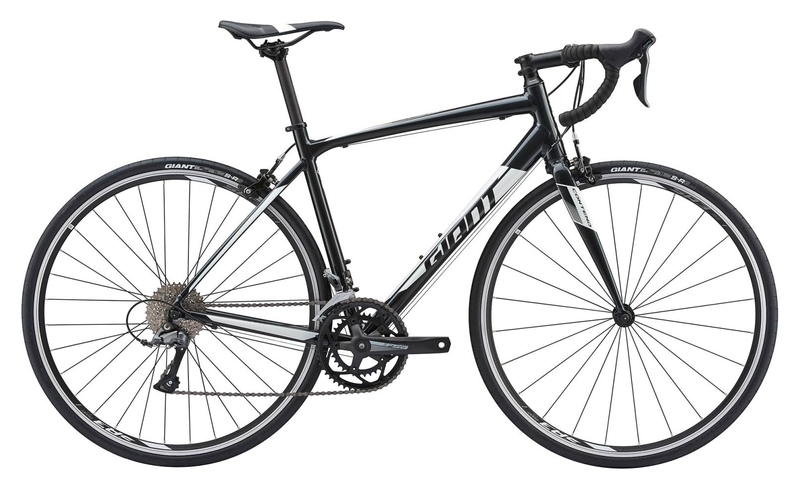 It is one of the cheapest road bikes made by Giant and on the general market as well. The Giant Contend 3 is built around a special Giant’s Aluxx aluminum frame, with an aluminum fork as well. These frames are well-known for being sturdy and durable, but lightweight at the same time. It has an oversized headtube which looks mean but also offers more responsive steering. The Giant Contend 3 is equipped with Shimano Claris components, which is expected on a bike in this price range. It has 16 speeds, with a 2×8 drivetrain, which would not really be a choice of more experienced roadies. However, the cassette has a range of 11-34T which is perfect if you ride in a hilly area. In the end, a 2×8 drivetrain is great for someone who is still learning how to ride, shift economically, and increase their cycling efficiency. When you want to bring your Giant Contend 3 to a stop, you can do it with Tektro’s brake calipers. They are not as efficient in wet weather as discs, but they are lightweight and more aerodynamic. Moreover, both the wheelset and the tires are made by Giant, which promises high-quality and durability. If you are buying your first road bike, you shouldn’t have any second thoughts about the Giant Contend 3. The Tommaso Aggraziato has seen some improvements in components in recent years. The latest model is special because all of its moving parts are produced by Shimano, which guarantees superb quality. But, that is just one of the reasons why it made it to our list of best road bikes. This is a serious carbon road bicycle with both a carbon frame and a carbon fork. With its 17lbs in weight, it definitely doesn’t mess around on the road. The frame is available in one color, which is a great combination of black and crimson red. It will definitely get the looks! However, the Tommaso Aggraziato is not all looks. It is fitted with high-performance Shimano Ultegra 6800 groupset with 22 speeds in total. The largest cog on the cassette has 32 teeth, which makes this bike perfect for climbing! The brakes are brake calipers and come from a lower Shimano groupset, the 105. However, the 105 is a groupset with the best value for the money and the brake levers are still Shimano Ultegra. The wheelset is a Shimano RS10 which is really lightweight and has low rolling resistance, while the tires are Hutchinson Nitro 2 700x25c. 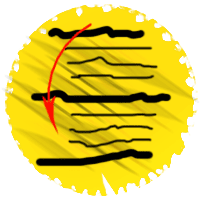 This is one of the most popular tire widths because of a good compromise between speed and rolling resistance. So, if you are an advanced rider and want to make some cycling gains, the Tommaso Aggraziato is one of the best carbon road bikes that you can get. Do you love speed? If so, you will love the Salsa Journeyman 700c Claris because this bike is fast! Due to the aero design of its frame and fork, it cuts through the air like through butter. When you see its price, you will be dumbfounded how is it possible that it is so cheap. However, even the best road bikes do not have to be expensive if they are well-built. Because this is a mid-range road bike, it comes with Shimano Claris components which are great value for money and perform excellently in all conditions. Moreover, the Salsa Journeyman 700c has 2×8 speeds and Shimano Claris brakes. The tires are really fast and durable WTB Riddler, 37mm wide. They will perform well on the tarmac as well. However, you do not have to worry about vibrations since the carbon fork will absorb most of them. Whether you are looking for a fast road bike that will help you push your limits, a TT bike, or even your first triathlon bike, the Journeyman will be a great buy. At this price, there aren’t really any downsides to it. The Cannondale CAAD12 is one of the best aluminum road bikes on the market. It is a part of the well-known and popular CAAD range of Cannondale’s bikes, so you know that you are buying quality when you spend your money. There are plenty of reviews online and most of them are positive. Even though the frame is aluminum, the fork is made of carbon which achieves significant weight savings. It’s available only in one color but it is an elegant fine silver and graphite mix. As the name suggests, the Cannondale CAAD12 is equipped with complete Shimano 105 components, which puts it among high-performance and high-end bikes. Moreover, it has 22 gears with a fast 11-30T cassette and Shimano 105 rim brakes as well. The RD 2.0 rims and Formula RX-512 and CX-22 with quick release hubs are fast, yet lightweight, so the rolling resistance is very low in the CAAD12. The tire width is 25mm, which is wider than some riders prefer, but it can be easily switched. The Cannondale CAAD12 105 is a beautiful bike! 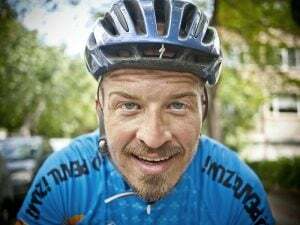 This is important for your opponents, as they will have a nice view as you ride past them and over the finish line, but it will also motivate you to get out and ride more. Aesthetically, the Co-op Cycles ARD is our favorite of this list. When you look at it, this bike just screams to come out and ride it. Keeping it in for more than two days should be considered a crime! Of course, as it costs around $1,400, this Co-op has a carbon fork and alloy frame. ARD 1.3 had carbon frame too but it is out of stock. While the frame is amazing, at this price range, the components are too. Shimano 105 derailleurs and TRP Spyre-C brakes are fitted on the frame which helps you shift through the gears and stop quickly. The Shimano hydraulic disc brakes are unprecedented and they are one of the highlights of the bike. Since the Co-op Cycles ARD 1.2 is built by REI, an American company. They have decided to go for Co-Op Cycles rims and hubs, which are light and perform really well. Same with the tires, the Donnelly Strada 700x28c have the job to maintain the contact with the ground. However, the 28c might be too wide for most riders out there. The bottom point is, even with some slight downsides, this is a high-performing and a beautiful bike, one of the best road bikes out there definitely. The Orbea Avant M30Team-D has caught our eye because we believe it is a very good buy. It costs far less than 3,000 dollars, but for that money, you get a full carbon frame along with a carbon fork. The frame is power meter compatible and the fork features carbon dropouts. Because it is a high-range bike considering its price, it uses mid-range Shimano 105 components for the most part. The derailleurs and the cassette are Shimano 105 giving 2×11 gears, while the brakes and shifters are Shimano ST-7020, which is also a high-quality groupset. The Shimano hydraulic disc brakes are undeniably the best possible braking solution in all weather conditions. So, if you live in an area with a lot of rainfall, you will be happy to have them on long descents. The geometry of the Orbea Avant M30Tean-D is endurance, so it will be comfortable if you wish to go for century rides. Moreover, the seat is Selle Italia X3 Flow, which seems to be highly regarded online among riders. 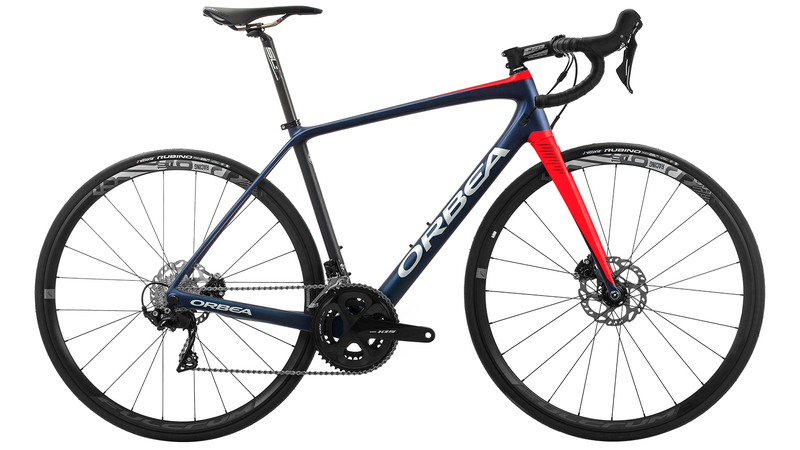 All in all, this Orbea is one of the best road bikes for the money, it has an attractive black-grey / blue-red / jade-black or classic black-white color schemes and it will no doubt put wind in your hair. Diamondback has done it again. They have managed to build another fantastic full carbon road bike and add it to their already impressive range of road bikes. The Diamondback Century 6C has a really simple design. The color is matte black, with “Diamondback” written in gray. The company calls this look “raw” which makes a lot of sense. However, it looks great. Apart from the carbon, the Century 6C can also boast with a full Shimano Ultegra 8000 set of components. The drivetrain is 2×11 and it is also full Ultegra, which will make it last long even if you abuse it. It’s not common nowadays for high-end road bicycles to have hydraulic disc brakes, but it is becoming more and more usual. The Diamondback Century 6C has them and even though they add a bit more weight, they have a staggering stopping power. Finally, this Diamondback is fitted with HED Flanders rims and Continental Grand Sport Race folding tires (28c) which have a good power transfer on sprints or uphill attacks. If you are asking for the best road bike and you have the money to spare, then the Diamondback Podium Vitesse is the right choice for you! The Orbea Orca M10 is the most exclusive road bicycle on this list and because of that the most expensive one as well. However, even by paying $5,400 for it, you won’t be paying through the nose – it will be money well-spent. 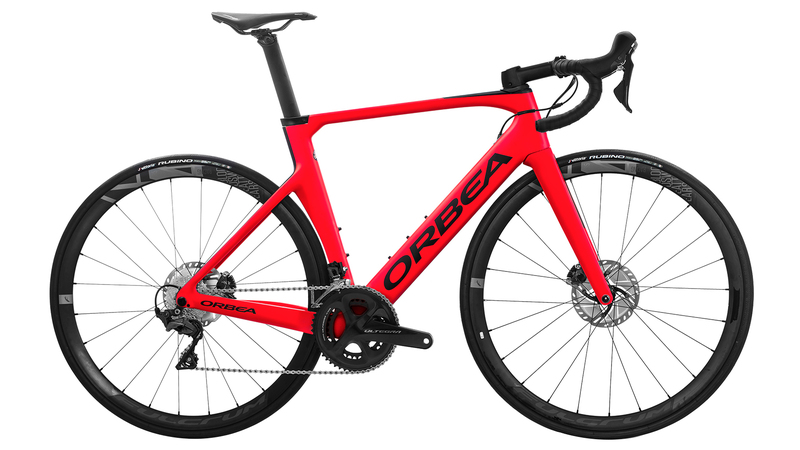 Of course, it is a full-carbon road bicycle with a frame and fork that Orbea has been meticulously improving to make weight reductions wherever possible. It’s an extremely lightweight bicycle which will make a huge difference in your competition results and help you improve your CAT standings. Nothing less can be expected from the components than the highest-class Ultegra Di2 groupset. The bottom bracket is power meter compatible, which will make a huge difference if you plan to do structured training. The brakes are also Shimano R8070 brake calipers, which will give you crazy stopping power. If you buy the Orbea Orca Aero M20I, it’ll come with clincher Fulcrum Racing 400 DB wheels and Vittoria Rubino foldable G+ 700x25c tires. The seatpost is also the result of Orbea’s ingenuity. The model is the Orbea Aero OMR – very lightweight and aerodynamic. The Orbea Orca Aero M20I is definitely the best carbon road bike on this list by far. If you are looking to beat some local KOMs, improve your racing performance and statistics, and just have incredible amounts of fun with every ride, you won’t regret this purchase even once! Do you regard yourself as a speed addict? Does your heart start beating faster when you hit 25 mph and higher? The Cannondale CAAD12 105 for women will get you completely hooked then! This CAAD12 is super light-weight even though it is a hybrid of an aluminum frame and a carbon fork. The tubing is thin and light since all of the excess material has been shredded away. The full 105 components along with the Fulcrum Racing Sport wheels can only add to the speed. You will need a strong character to go out and do rest rides as this Cannondale’s models just urges you to push it to the limit. More weight has been saved on the brakes with the 105 rim brakes instead of discs. So, the total weight of the bike for the smallest frame is just over 17 lbs. At this price, that is not shabby at all. Talking about the Cannondale CAAD 12 would not be complete without mentioning the eye-catching blue and black color scheme. So, if you are a lady looking for a fast and high-performing bicycle to test your limits, but that also looks good, don’t look any further! It didn’t hit our list of best road bikes for no reason. The Raleigh Amelia 1 is the best road bike for women who are just developing their cycling hobby. It is an entry-level road bike and that makes it the most affordable of the three in this category. However, it has a great value for money, so you should definitely consider it. The frame of the Raleigh Amelia 1 is made of lightweight and very responsive aluminum compound. The fork is also made from aluminum, it is light and absorbs vibrations really well. This bike is available in sky blue color which makes it really easy to fall in love with Amelia. As expected for this money, you will get the Shimano Claris 2000 groupset. The chainrings have 34/46T which are not too aggressive, so you will be able to build power gradually and tackle some local hills as well. You can choose between 16 speeds in total, which is also pretty standard on road bikes in this price range. Amelia 1 also comes with platform pedals and has rack and fender mounts, which is great if you plan touring or to commute on it. If Amelia 1 is not quite what you’re looking for, you should check out Amelia 2 or Amelia 3 as these might be more fitting for you. It is definitely one of the best entry-level road bikes for women, so it will be a great first step into road cycling for any beginner. The Cannondale Synapse is one of the more expensive road bikes on this list. However, don’t let that get you discouraged. The $2,500-price is well-justified and it is worth breaking the bank. First of all, it is an all-carbon road bicycle created with special BallisTec frame technology and a SAVE plus fork. Its 19 lbs of weight will feel like a refreshment on steep uphills. The Shimano 105 components are well-worth the money. The derailleurs and shifters perform great even when you shift under high tension and in horrible weather conditions. The rims and hubs are pretty much standard Mavic Aksium on most high-end Cannondale bikes. However, the tires are not Mavics, but Schwalbe Lugano, 28mm wide. If you live in an area with bad roads or a lot of rainfall, these wide tires will make your life easier and your cycling more efficient. Without a doubt, this is one of the best carbon road bikes for women by Cannondale and generally on the market. The Shimano Ultegra hydraulic disc brakes reinforce this statement as well, as there isn’t a better choice with more stopping power. If you are looking for a high-performance women’s road bicycle, you won’t regret buying the Cannondale Synapse Carbon Ultegra for one second. 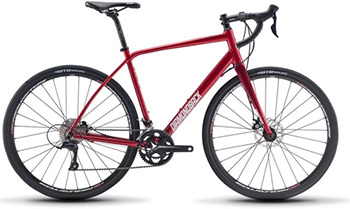 The Diamondback Haanjo 3 is the more affordable of the two CX bikes on this list. The money is saved on components and the frame but this is still one of the best cyclocross bikes for the money that you can get right now. Compared to the Raleigh RXM, the Haanjo 3 has an endurance geometry frame which will be much more comfortable to ride long distance. Both the frame and the fork are made of high-grade aluminum which does not have to make a compromise between weight and performance. The components that the Diamondback Haanjo 3 comes with are Shimano Sora, which is why it is a more affordable CX bike. The drivetrain has 22 speeds and a 32T cassette, so it is intended for a much more relaxed ride. Of course, the brakes are mechanical discs with 160mm/140mm rotors on the front and back and Shimano Sora brake levers. The Diamondback Haanjo 3 can be easily fitted with mounts and fenders, so you can ride it in wet conditions and take it on a trail touring adventure as well. So, the bottom point is, if you are looking to buy an affordable, versatile, and a good-looking CX bike, the Diamondback Haanjo 3 should be on your list. PS! You can also check the Haanjenn 3, which is a women-specific model with same specs. 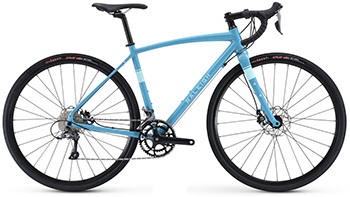 First of all, the Raleigh RXM is a bike that you will fall in love with at first sight. It is a beautiful bike with an attractive rainbow pattern that will just urge you to go out and ride it. Now that we have established that, we can say more about its performance. The Raleigh RXM is built around a chromoly disc frame with aggressive geometry which is fast, durable, and very responsive. The full carbon fork makes any terrain imperfections much less impacting, so you will enjoy the ride. Raleigh RXM is a mid-range cyclocross bike fitted with the proved and tested Shimano 105 groupset. The drivetrain is very aggressive with 22 speeds, but an 11-28T cassette on the back. Therefore, this bike means business and it will go fast around the track. The rims are Weinmann Impulse, with a double wall, so they are very durable and will take a beating. These are clad in Clement MXP 700x33c tires, with low-profile knobs, perfect for gripping on loose terrain. A cyclocross bike would not be complete without good disc brakes, so the Raleigh RXM has TRP Spyre mechanical discs with 160mm rotors and Shimano 105 brake levers. There are no doubts that this is a very attractive cyclocross bike but that it will perform really well on any terrain. If you are looking for a bike to upgrade from your entry-level road or CX bike, the Raleigh RXM will definitely put a smile on your face. The Tamland iE Step Over is one of the best electric road bikes out there. Whether you are looking to buy a fast commuter or you want a bike that will give your joints a break, you should put this Raleigh on the list. It uses a Brose Speed central motor and a durable HTE battery for long rides. You can use the Brose display to keep track of your speed and battery consumption and make the most out of your rides. The max speed is 28 mph which will make a big difference on group rides. The Raleigh Tamland iE Step Over has an aluminum frame and an aluminum fork, which are really lightweight, so the bike is not too heavy even though it is electric. The components are a SRAM and it has a total 22 speeds that you can choose from. Combined with the electric motor, that will make you very fast! However, do not worry, you’ll be able to stop quickly in case of an emergency with a set of hydraulic disc brakes. All in all, this is one of the best electric road bikes because of its versatility and quality build. If you were thinking of going electric, you will not regret this buy. Even the best road bike that you pay through the nose will not mean a lot for your performance if the size is not right. Therefore, it is extremely important to buy the right size for your height in order to maximize your pedal stroke efficiency but also to prevent injury. Road bike sizes are usually presented either in centimeters or in Roman numerals. You can calculate the correct size according to your height by looking at the road bike size chart that we have created for you below. Conclusion – Which Best Road Bikes To Choose? Since there are so many amazing road bikes out there, we hope that we have helped you make a choice by choosing 15 best road bikes. 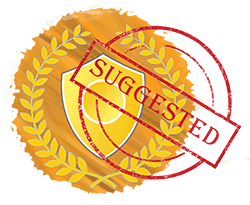 At least we have made your decision process easier. To help you, even more, let’s summarize what we’ve concluded about each bike so far. If you are on the lookout for an affordable road bike without too many compromises made, the Tommaso Tiempo is for you. 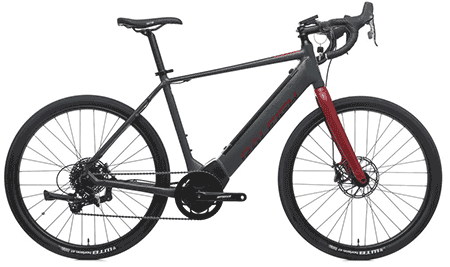 However, if you want to spend as little money as possible but still experience road cycling at its best, you should purchase the Diamondback Century 6C. In case you want to make an upgrade from your entry-level road bike, the Salsa Journeyman 700 is a great mid-range bike for you. The Tommaso Aggraziato is going to make you happy if you need a bike for longer and more serious training. However, if you are really serious about your training and want to structure them more, don’t look further than the Cannondale CAAD12 105. The Co-op Cycles ARD 1.2 is a more affordable entry-level competition road bike if you don’t want to splurge but want to leave your mates in the dust. Are CAT categories important for you? The Orbea Orca Aero M20 is the highest-end bike on the list and will get you to CAT2 or CAT1 quickly. If you need a training-competition bike with disc brakes to practice descending as well as climbing, the Orbea Avant M30Team-D is like made for you. Finally, the Diamondback Podium Vitesse Disc is the best competition road bike for the money with disc brakes that you can get if you ride downhills a lot. In case you are a woman looking for her first road bike, the Raleigh Amelia 1 will not disappoint you. If you are more serious about road cycling and want an aluminum frame bike, check out the Cannondale CAAD12 105 Women. However, if you are looking for a full carbon high-end road bicycle, the Cannondale Synapse Carbon Ultegra is waiting for you! When it comes to cyclocross, are you a fan of steel or aluminum? 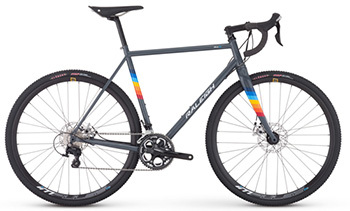 If you prefer steel frames, buy the good-looking Raleigh RXM . However, if you trust the lightweight aluminum more, the Diamondback Haanjo 3 should be your pick. Finally, if you want to get on the electric bandwagon and make some easy speed gains, check out the Raleigh Tamland iE Step Over!